Lisa Mattheiss, Executive Director of Lifeline Inc. The Center for START Services would like to extend a warm "thank you" to the co-sponsors of the National Online Training Series! 2. Participants will be able to understand the effectiveness of music therapy and with people with IDD and trauma histories. 3. Participants will be able to understand the effectiveness of art therapy with people with IDD and trauma histories. Karyn Harvey has worked as a clinician in the field of intellectual disabilities for over 30 years. She has a master’s degree in Clinical psychology and a Ph.D. in Applied Developmental Psychology from the University of Maryland. She has published articles about therapeutic interventions with individuals with intellectual and developmental disabilities (IDD), workbooks for individuals with IDD and two books. Her first book, Positive Identity Development was published in 2009 and presents both theory and guidance for clinicians doing therapy with individuals with ID. Her second book, Trauma –Informed Behavioral Interventions was published in 2011 and presents a trauma- informed care approach to working with individuals with ID both programmatically and clinically. She is currently the Assistant Executive Director of Clinical Services for the Arc Baltimore. In addition, she is an adjunct professor at the University of Baltimore, graduate psychology program. She currently consults with various state and individual agencies as well as trains staff, administrators and clinicians on trauma-informed care throughout the country and in Canada. 3. Determine 1 possible sensory intervention strategy to utilize during the following states: under responsive, over responsive, and sensory seeking. Juli Braswell is an Occupational Therapist who has almost 20 years experience after graduating from the University of Louisiana at Monroe with a Bachelors degree in Occupational therapy in 1997. Since then, she has worked in a variety of areas including Adult Long Term Acute-Care, Home Health, Outpatient Pediatrics, Early Intervention/In-Center Daycares, and High Risk NICU graduate clinic, with her passion being in the Neonatal Intensive Care Unit with premature infants. She is currently the Occupational Therapist at Willow Creek Women’s Hospital in Johnson, AR where she specializes with premature infants in a Level III Neonatal Intensive Care Unit since 2004. Juli also works two days a week at Pathfinder, Inc. in Cave Springs, AR, which is a workshop for adults with disabilities that fosters independence and guides them towards integration into the community. Juli has been Certified Educator of Infant Massage for five years and also received her Neonatal Touch and Massage Certification. She was part of the Beta group to review and suggest changes for the online Test of Infant Motor Performance. Juli has attended numerous continuing education courses is Sensory Integration Dysfunction, Neurodevelopmental Treatment, and other OT related areas. Jeni Yielding is an Occupational Therapist with almost 20 years of experience working with infants and children with developmental disabilities, as well as adults. She received her Bachelors of Psychology, then Bachelors of Science in Occupational Therapy from Louisiana State University Medical Center. Her passion and expertise are in working with premature infants, feeding disorders, and sensory integration dysfunction. Additionally, she is certified in Infant Massage, Breastfeeding in the NICU, and also an inventor of a medical device for premature babies. Jeni has specialized experience working in Neonatal Intensive Care Units, Preemie Units, and Pediatric Burn Units. She has experience working in numerous settings, including NICU, PICU, Patient Homes, Outpatient Clinics, Schools/daycares, Rehabilitation Centers, Pediatric Burn Unit, and Assisted Living. Jeni currently works in Early Intervention in Tennessee providing home-based services and family education/support to infants and toddlers with feeding problems, developmental delays, sensory integration dysfunction, and other disorders. 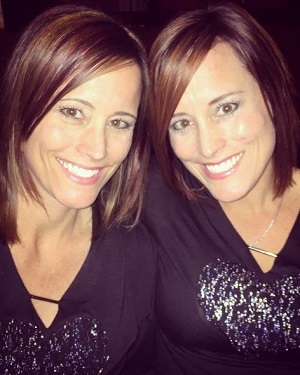 The most interesting part of these biographies, and their overlapping passion for Occupational Therapy, is that Jeni and Juli are identical twins! They live 10 hours apart, but consult daily with each other for OT tips and information. Sensory Integration has always been a hot topic of conversation and collaboration between these “OT Twins,” as they understand the impact of sensory integration on learning, living, and quality of life from infancy through adulthood. After earning a Masters degree in psychology in 1981, Marc Goldman embarked on a career in community mental health, working with children, adolescents, and adults with psychiatric impairments. He then took an opportunity to treat individuals having intellectual disabilities in a large residential facility. His experience and training with psychiatric issues evolved into an interest in the treatment of individuals who had intellectual disabilities and mental health needs. In this specialty area, he was responsible for the design and programmatic implementation of one of the first treatment centers in the Midwest for people charged with criminal offences who had intellectual disabilities. He is currently in private practice, devoting most of his professional time to the assessment and treatment of people with intellectual disabilities at risk of engaging in a variety of challenging behavior. Marc Goldman’s professional services include psychological evaluations, risk assessments, behavior support and intervention plans, individual treatment for people with dual diagnosis, staff training, and treatment for individuals at risk of engaging in aberrant sexual expression. Marc works closely with support staff and collaborates with staff and administrators in development and evaluation of therapeutic interventions. He consults with various public and private agencies and serves as expert witness. Marc has presented at numerous national and international symposia on Dual Diagnosis in Europe, Canada, and the United States. He served for six years on the Board of Directors of NADD, an association for persons with intellectual disabilities and mental health needs. 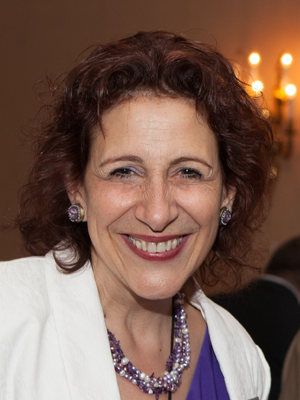 Diane M. Jacobstein, Ph.D. is a Clinical Psychologist in the Georgetown University Center for Child and Human Development-UCEDD, Senior Policy Associate in the Georgetown National Technical Assistance Center for Children’s Mental Health, and Associate Professor in Pediatrics. During more than 30 years on faculty, her clinical work has focused on diverse populations, including adults and children with disabilities, toddlers with autism and communication disorders, children with chronic illness, and families who are homeless in the District of Columbia. For more than 20 years, she has been an Early Childhood Mental Health Consultant in a Head Start program in DC for families who are homeless, including many children with disabilities. Dr. Jacobstein is primary investigator for a family homelessness initiative and has been a co-investigator on studies related to early identification of Latino toddlers with autism and design of community based services as an alternative to residential placement. 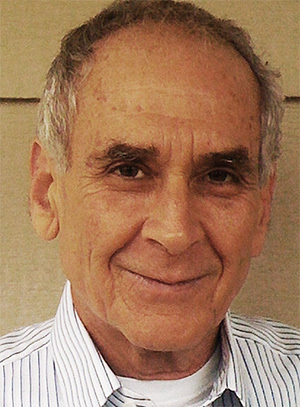 Dr. Jacobstein served as a psychologist and later the clinical director of a Georgetown community-based program for adults and children with co-occurring developmental and psychiatric disorders some years ago. She continues as part of a team charged with building system capacity for adults with intellectual disabilities in DC. Children and adults with co-occurring developmental disabilities and mental health needs, including trauma, are the main focus of her technical assistance efforts nationally. 4. Use Interactive Behavior Therapy to promote listening skills—that actually work! 8. Use video tools and skill building books in group therapy sessions to demonstrate various social situations and encourage problem solving and feedback among group members. With over 20 years of clinical experience working with individuals with IDD, Kathy has presented to parent groups, area health education seminars, special education PTA’s, NASW and Licensed Professional Counseling organizations, community agencies working with the IDD population, masters level courses at both UNC-Chapel Hill and N.C. State. She has also worked as an adjunct lecturer at N.C. State’s Graduate School of Social Work. Following the birth of her daughter, 26 years ago, when she learned her daughter had a seizure disorder and moderate IDD, Kathy began her exploration of learning whatever she could regarding seizures and intellectual disability. This eventually marked the path her life would take—providing mental health services to persons with IDD. Since that time, she has provided mental health services to hundreds of adults with disabilities, as well as their families, caregivers, and staff. She founded several parent groups over the years: The Exceptional Parents Group in New Jersey; then the Teen to Adulthood and the Next Step groups in Raleigh, NC. For over 20 years, guest speakers volunteered their time to speak with parents and IDD professionals each month about a range of topics from the effect of disability on the family to Social Security and housing information. Kathy’s formal education includes a MSW degree from Rutgers Graduate School of Social Work, New Brunswick, NJ, in 1997, followed by a two-year intensive family therapy training program with the Multicultural Family Therapy Institute in New Jersey, as well as a year-long traineeship with Robert Wood Johnson/UMDNJ for Disabilities in New Brunswick, NJ. In 2015, she earned a certificate in health coaching from Duke University’s Integrated Medicine Institute in Durham, NC. The City of Raleigh awarded her a Certificate of Appreciation for her work facilitating monthly educational groups regarding IDD issues, and Raleigh’s Specialized Recreation Department also presented her with a Certificate of Appreciation. 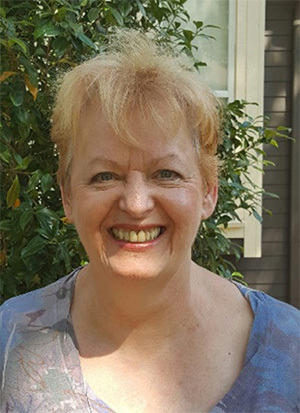 Kathy has served on the Raleigh Mayor’s Committee for Persons with Disabilities, was vice president of the Arc of Wake County, Raleigh; a member of the Interagency Council on Transition in Raleigh, and numerous other community committees and forums related to IDD. 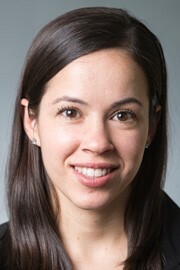 Jennifer McLaren, M.D., is an Assistant Professor of Psychiatry at the Geisel School of Medicine at Dartmouth. She received her undergraduate degree from the University of Notre Dame, her medical degree from the University of Medicine and Dentistry at Robert Wood Johnson Medical School and completed a residency in adult psychiatry and child and adolescent psychiatry at Dartmouth Hitchcock Medical Center. Dr. McLaren is the medical director for New Hampshire Bureau of Developmental Services and the medical director for New Hampshire START. Dr. McLaren’s clinical practice focuses on caring for children, adolescents and adults with autism and neurodevelopmental disabilities. She is the director of the Autism Program and the director of the Developmental Disabilities Clinics at Dartmouth. She provides educational opportunities for medical students, residents, and continuing medical education focused on caring for people with developmental disabilities. Dr. McLaren has received a teaching excellence award and a clinical excellence award for her work. She has also served on two work groups in helping to develop the DMID-2. Dr. McLaren has several grants focused on enhancing and expanding services for people with Autism Spectrum Disorder in New Hampshire. Outline how to begin dialogue with supports that occur naturally in the course of one’s life. Help think “outside the schoolbox” as to what natural supports are/can be available in the home/community that contribute to access for the person with the disability. Presenter: Lisa Mattheiss, Executive Director of Lifeline Inc.